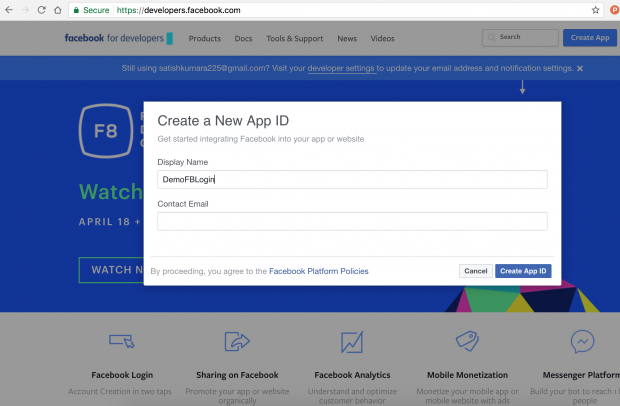 Hey folks, In this article we will show you how to create Facebook Login using React-Native that will work for both iOS and Android Platform. 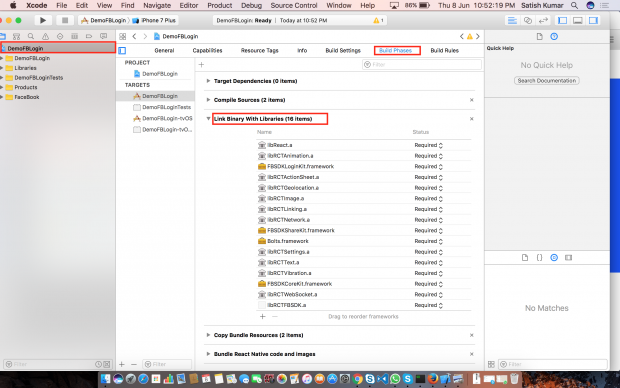 As assume that you have a basic knowledge of React-Native and required Software prerequisites are already available in your development machine. If not, go back to our articles Getting Started with React-Native for iOS and Android and Creating Login Screen in React Native. To create a new React Native project, just open your Terminal/iTerm app and run the following command. 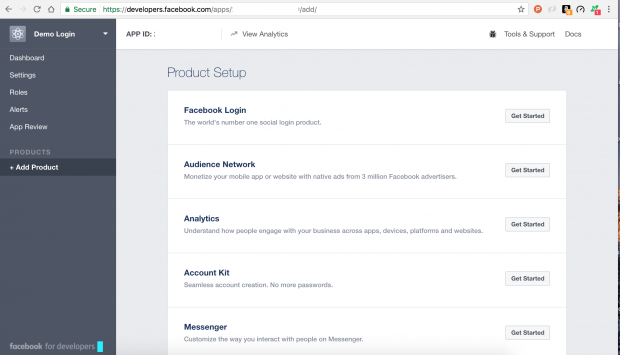 Before integrating with Facebook to React app, we have to first create a Facebook app on the Facebook developer console. 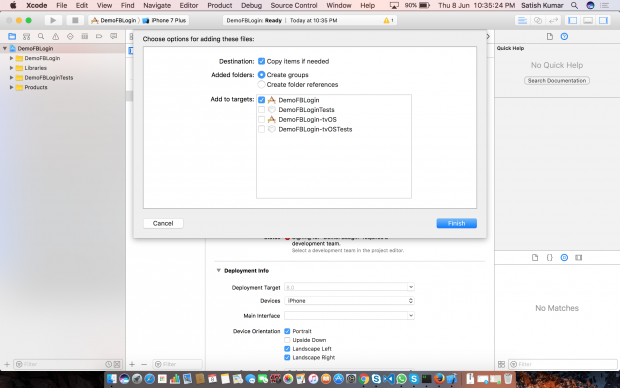 Click on Create App and enter the display name which will be displayed publicly to the user. It is recommended to provide the contact email. While authenticating, if users have any questions they may contact you on this email. Once the App is created it will display the Product Setup page. 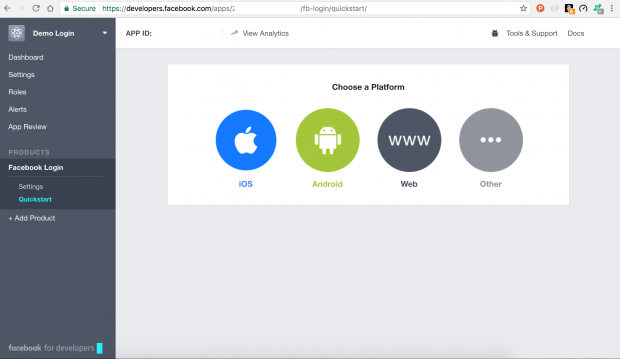 Let’s click on Get Started with Facebook Login. 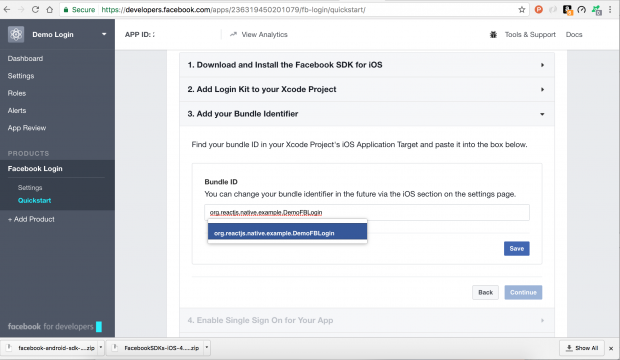 First let’s start with the iOS platform, so select iOS and download the SDK and unzip the archive to ~/Documents/FacebookSDK. .
Now, Install and link the Facebook SDK for React Native packages and dependencies in the terminal and start npm server. 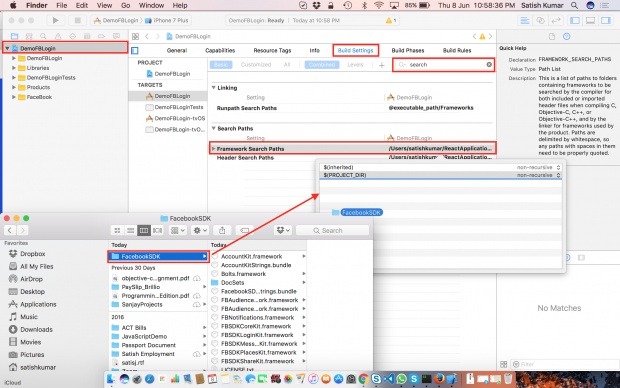 Open the ios project form the DemoFBLogin/ios folder and drag and drop the FBSDKLoginKit.framework, FBSDKShareKit.framework, Bots.framework, FBSDKCoreKit.framework inside your project. Now go to Link Binary With Libraries and check all this FBSDKs are linked properly. 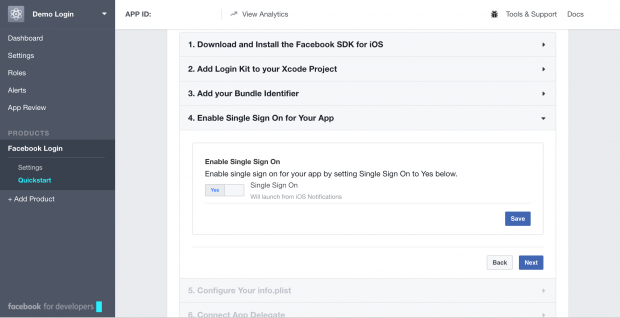 Enable single sign-on, and Configure your info.plist follow the step by step instruction provide in developer.facebook.com. That is because we need to do npm install in our react-native project folder, open your terminal and navigate to your project folder and type npm install or npm i after installation clean (⇧⌘K) and build (⌘B) that error will go. Now open the react-native project with VS Code IDE, directly by opening folder via VC Code or open your terminal and navigate to your project folder and code. 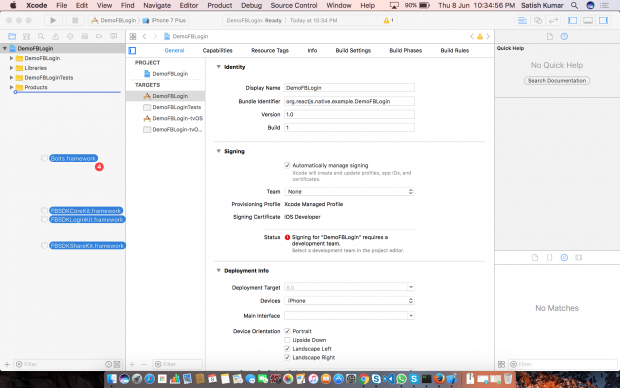 Go to Debug editor(⇧⌘D) and Add Configuration by adding iOS platform.